At least five Palestinians were injured on Sunday, including one critically, during clashes which broke out along the Gaza Strip’s borders, as Palestinians continue to protest US recognition of Jerusalem as the capital of Israel,. 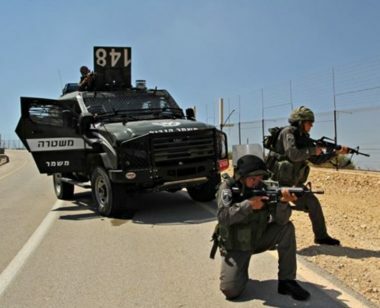 A Palestinian was hit with live ammunition during confrontations that erupted to the east of Jabalia, north of the Strip. He was transferred to hospital for medical treatment, where his condition was described as critical. Four others were modweately injured after being shot with live fire to the east of the Sheja’eyya neighborhood, east of Gaza city. Medics also provided several other Palestinians with the needed treatment, after they suffered the effects of teargas inhalation.